If you want to record audio into MP3 there are several free MP3 audio recorder available to you, whether it is online services or desktop based solutions. Desktop type software offers more features and convenience that other options, but which one is best? We look at top 10 best MP3 recorder available and pick out the best option here. Download music from over 3000+ music sites. 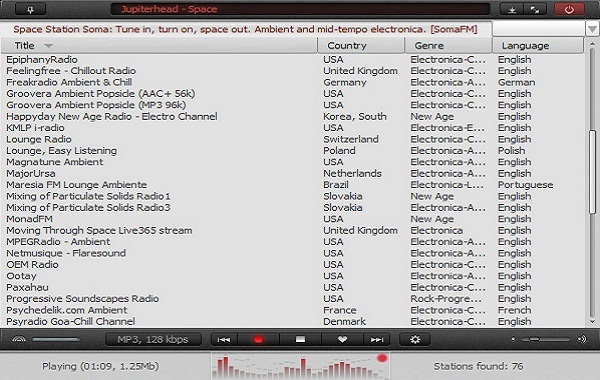 Record music from thousands of music sites, radio stations and music software. 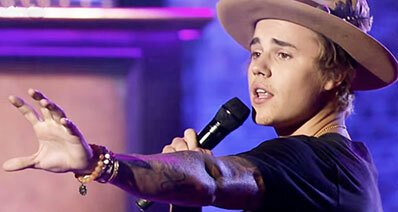 Built-in music library offers you the hottest songs to download for free. Save downloaded/recorded music to iTunes Library automatically. Transfer music between Android devices, iPhone, iPad, iPod, Mac/PC, iTunes Library. 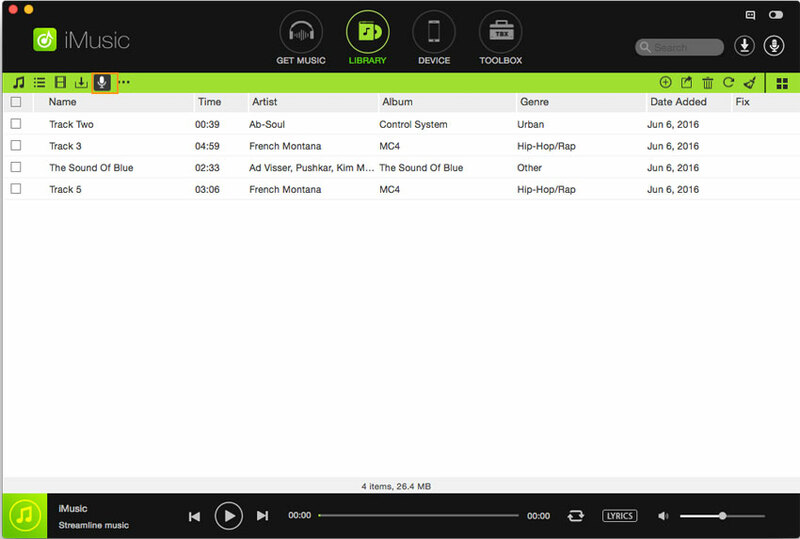 RadioSure is a free MP3 recorder that has plenty of features; it works as both an internet radio player and a downloader. It features the ability for fast searches for radio stations and easy recording once you find them. It can record in several MP3 quality levels and can split music into individual song files as you go automatically. 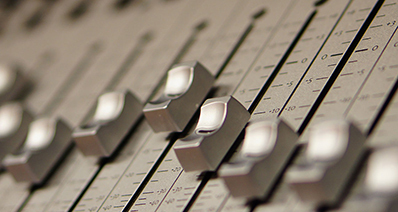 Recordings are made at the source bitrate for lossless recording, ensuring the best quality possible and combined with other features makes this a user friendly package. Aktiv MP3 Recorder is a simple MP3 voice recorder software package that offers quality audio recording. It has a user interface that is not as user friendly as Audio Recorder for mac, and although it only offers the one file format, MP3 as the name suggests, it does include various levels of quality to choose from to ensure the most suitable compromise between file size and quality. Aktiv includes a scheduler to organize recordings when you are away from the computer, although it lacks the friendly features of some of the others here. Using this application, you can record just about any audio that plays through your computer including VoIP calls, streaming radio, instant messaging conversations as well as music played on the internet. It allows you to listen while you are recording and it saves files after recording them in MP3 or WAV format with a wide array of codecs as well as compression options. There is usually no quality loss after the files have been recorded. It works well with all popular media players. It allows you to edit the files that you have recorded. To perform some extra functions, you will need to download and install additional NCH tools. This application allows you to record audio from any source. Whether you are streaming music from an online radio or you are watching you favorite music on YouTube, you can be able to use it to record that music so that you can listen to it anytime you want without being inconvenienced by slow internet connections or lack of internet. After recording your audio, this application allows you to organize it in a convenient library that you can easily access any time. 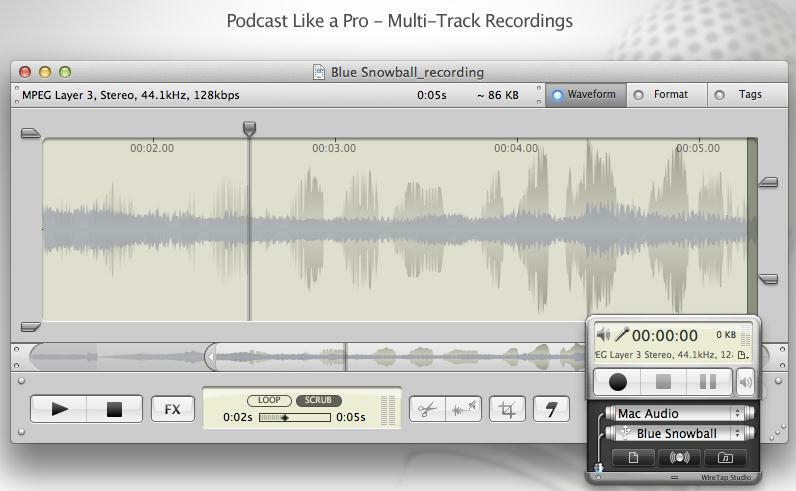 It allows you to record two audio sources simultaneously. It allows lossless audio editing. Its audio editing prowess is not that powerful compared to other programs. It does not have a batch convert option. There are some free MP3 audio recorder that you do not need to download and install on your computer to be able to use them. You just need to access them in order to use them to record your favorite music. The following are the best 5 free online MP3 audio recorder. This online MP3 audio recorder allows you to record voice right from your microphone. It features a very simple interface and is very easy to use. 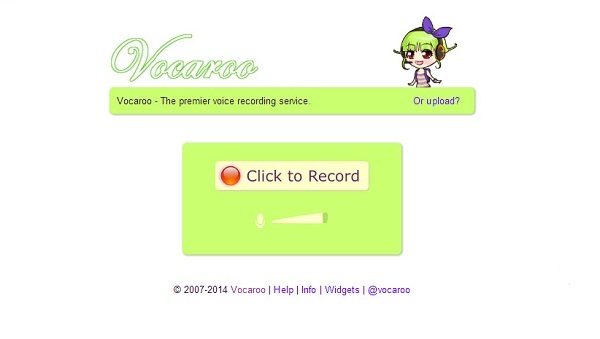 You can record voice and then afterwards share it via personal webpage or email. It allows you to record as many messages as you like. It allows you to preview voice recording before sharing it. 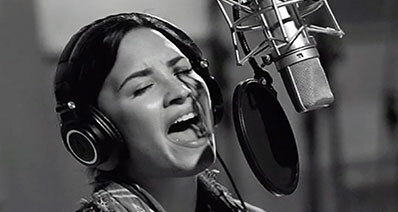 It only records microphone sound. It does not have file conversion capabilities. 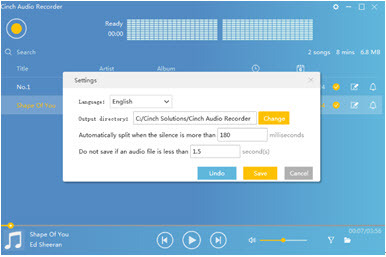 This is a very simple and easy to use MP3 voice recorder program that allows you to record the sound that is being processed by your sound card. It records from any source, including a streaming audio from the internet, a microphone, a CD and so on. Has a very intuitive user interface. The recordings can be saved only as MP3 and WAV files and no other format. 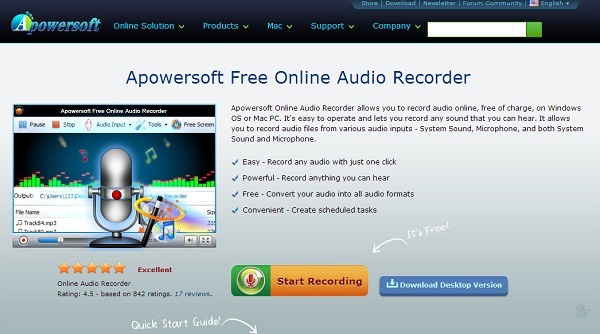 With this online free MP3 recorder, you can record MP3 audio files with absolute ease. You just need to access the website, record a video and then sent it to the administrators. That file will be converted to MP3 format. It also allows you to record videos. The recorded file is deleted shortly after. Before being recorded in MP3 format, the file has to be recorded in video format. This is a free simple MP3 recroder application that enables you to record to MP3 from a microphone. Once the recording process is over, you can trim the audio and then save it on your computer. It has the capability of recording with high quality sound. It can be a bit complicated the first time you use it. The sound may not be too clear. This MP3 recorder allows you to record your favorite music and other audio files online free of charge. It is very easy to operate and it allows you to record absolutely any sound that you can hear. You can use it to record sounds from various audio inputs, including microphone and system sound. 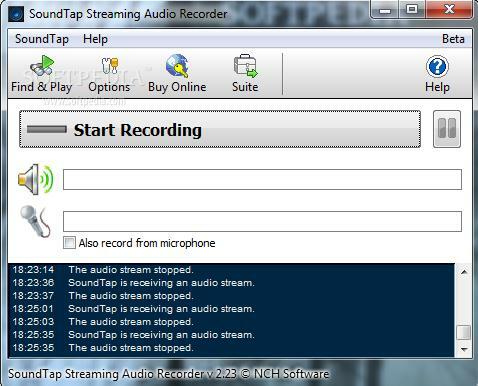 It allows you to record any sound that you can hear online. You can use it to convert your audio into various audio formats. It does not have an editing function. When it comes to video recordings, it does not offer very good output results. Using iMusic to record music is also very straightforward. 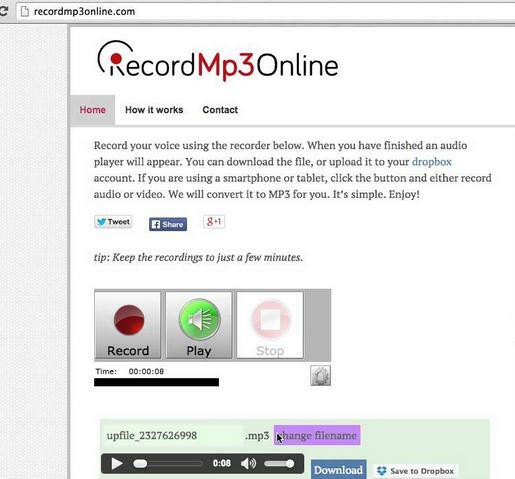 You can record to MP3 audio tracks in just a few simple steps. Launch this MP3 audio recroder and click "GET MUSIC". Next, click "Record". 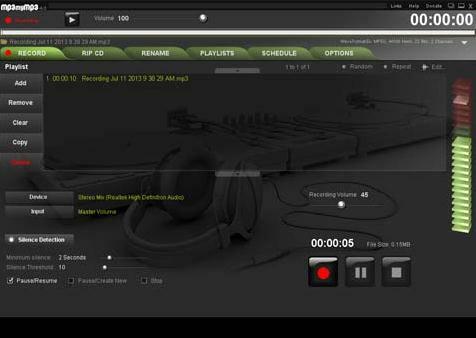 In the record window, click the red button, getting the software ready for the music recording process. Next, play the music you want to record, letting the music recorder do the rest for you. 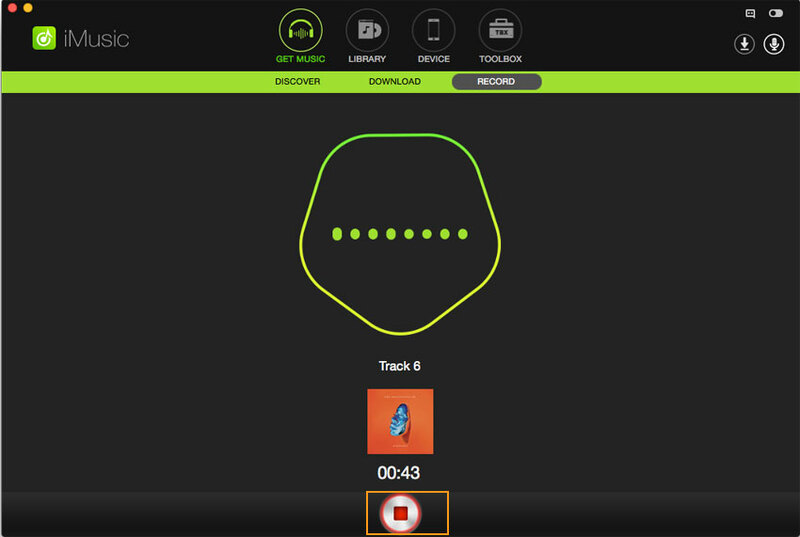 During the recording process, the software will identify the songs automatically and add music tags: cover, album, singer, genre, and more. 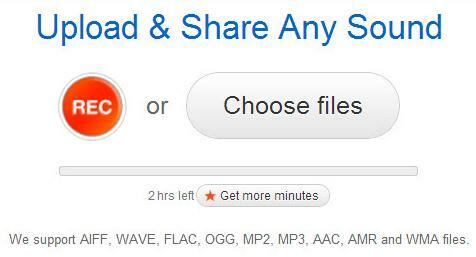 Your MP3 files will be listed under the Library tab after they have been recorded. In the music library, you can play the songs with the built in player by double clicking on the files. Alternatively, you can also imports music to the program from local hard drive for playback and management.